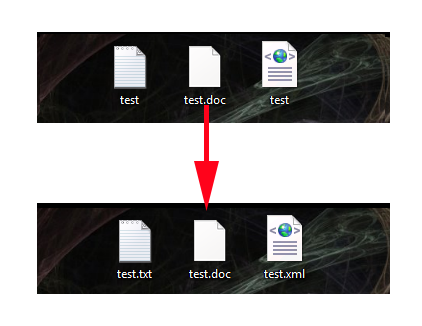 Like previous versions of Windows, Windows 8 also hides file extensions. Note: Only for files it understands. e.g. In the example below it does not know what a .doc extension is so it shows it (because Word has not been installed yet). 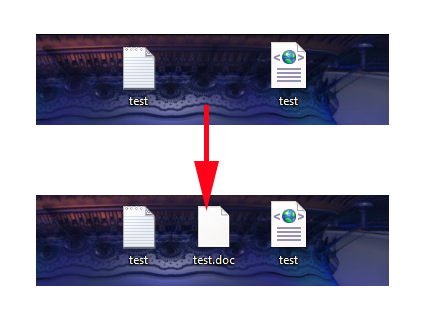 Also hidden files and folders are not shown. I know these are two different things, but I usually set them both together, and they’re both set on the same menu. 1. Open Windows Explorer by pressing the Windows Key+E. 2. View > Options > Select the drop down arrow > View. 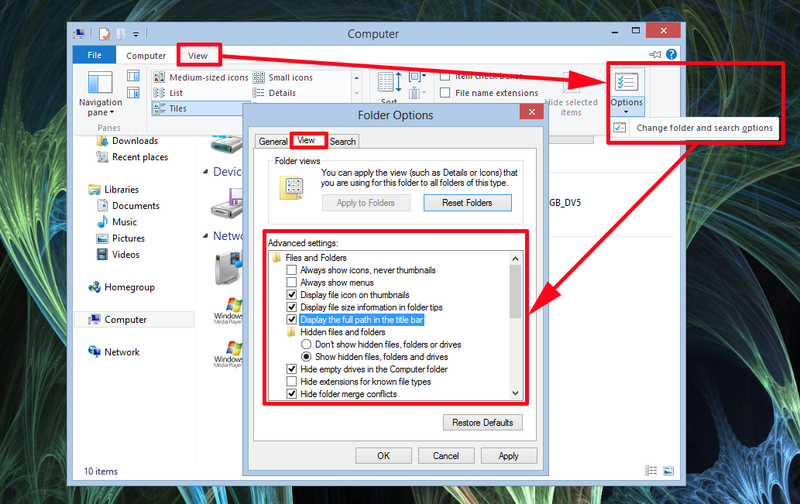 To Show Hidden files and folders select “Show Hidden Files, folders and drives“. File Extensions UNTICK “Hide extensions for known file types“. 3. Apply > OK > Close Windows Explorer.